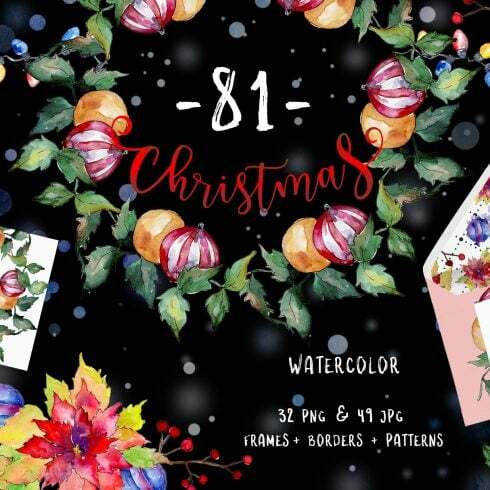 Christmas happy holiday symbol in a watercolor style of 81 files. Aquarelle christmas card for background, texture, wrapper pattern, frame or border. 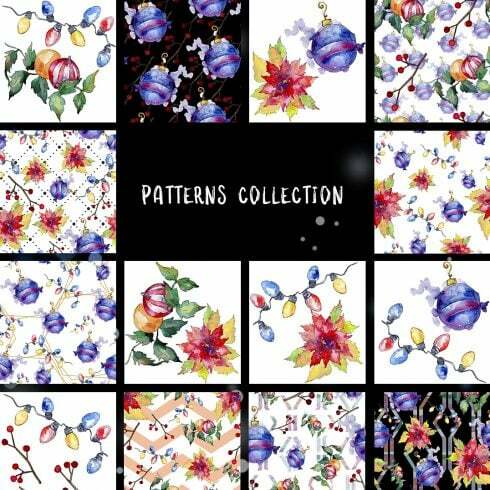 Ideal material for DIY, greeting cards, quotes, blogs, menu, posters and more. Precisely what is graphic package? If you are a graphic artist focusing on numerous tasks , you, like no others, comprehend the significance of the entire bunch of design elements at hands. Trying to find those elements one at a time, you spend a lot more time and expense as a result. To get all of the desired components in a single pack, we suggest taking a closer look at graphic package deals. A bundle can be described as a selection of components needed for graphic design, valued for a large amount of money, yet offered at a substantially reduced price for a short time. What’s the point of using packages? The benefits of graphic bundles for designers are usually quite obvious. However if you are a newcomer to those elements and still have questions, the following information will probably be of great help for you. Along with a large number of the elements within a single package, the collection gives you an opportunity to use several of them for many different tasks. On top of that, the price is typically cut down tremendously which lets you stretch your budget, yet have the complete set worth hundreds or thousands of dollars. The selections of components accumulated into a graphics package are generally sorted in accordance with their kind or main objective. There might be deals with mockups, wedding invitation templates and infographics, etc. You will likely manage to find graphic packages tailored for Halloween, St. Valentine’s Day, Halloween or St. Valentine’s Day. Any ways to make package deals even more cost-effective? You can make the MasterBundles.com bundles even cheaper. Just share this web page via social media – you automatically get the 5% price reduction for the graphic bundles you prefer. That’s a very easy way to get a professionally designed tools for less money. MasterBundles offers you a big variety of different bundles. We offer not only graphics packages but also something like 20 other different types of products. Fonts, WordPress themes, mockups, icons, photos, illustrations, presentation templates and much more – on the MasterBundles you’ll be able to obtain all the graphic elements, vital for a design project creation. The watercolor package is found to be the lovliest development in design. Handcrafted by artists on the paper, the wonderful pictures become scanned and included in a package as design templates for design projects. Watercolor components are great for quotes, blogs, posters and wedding invitations. MasterBundles.com is a marketplace that accumulates top design products from around the internet and allows you to buy the components you need in your design work for for less money. Bundles this fabulous website sells are limited in time, and that’s the reason why they are so low-cost. To avoid missing the deal you will be pleased with – join for the email message, showing you the most recent deals. MasterBundles.com boasts a great blog with the interesting design features detailed.